Brian Orakpo was 20th in the league with 10 sacks this year. He has 39.5 sacks in five seasons. The last time the Packers inked a dynamic play-making free agent defensive player was 2006. That player was Charles Woodson. I don’t have a problem with Ted Thompson’s philosophy of draft and develop. It ends up saving the Packers plenty of money rather than throwing it at at an average veteran that doesn’t come close to honoring his bloated contract. But this offseason Thompson has a chance to make a splash. And the guy that would be perfect is outside linebacker Brian Orakpo. The only way signing a free agent works for the Packers is if that free agent is a Pro Bowl-quality player. Orakpo is a two-time Pro Bowler and has a good chance to be an all-star this year after finishing the year 20th in the league with 10 sacks. But he isn’t just a quarterback-seeking missile, he has also defended 16 passes in five years and got his first interception and ran it back 29 yards for a score this year. If you’re wondering, nobody on the Packers roster had more than 7½ sacks this season. Orakpo is a high-energy player that can kick-start Dom Capers’ 3-4 defense. And he would fit nicely with Clay Matthews attacking the passer on the other side. Even better, Orakpo turns 28 in July so there would still be plenty of time for him to contribute in a big way. 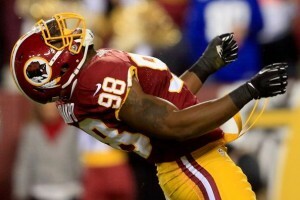 Orakpo is closing out his rookie contract which was worth five years and $20 million. But there will be cash to spend as Jermichael Finley and B.J. Raji are not likely to come back to Titletown. Those two coming off the books will save the Packers over $8.9 million. I think everyone can agree that the only reason the Packers aren’t still playing this year is because the defense wilts like a wet papier-mâché. The unit could not get off the field on third down, could not make the big turnover when needed and could not stop the run — especially a running quarterback. Also, it’s no secret that one of the best quarterbacks in the league plays for the Packers. Aaron Rodgers just turned 30 in December and likely has five prime years left. With a player like that, it only makes sense to go all-in, which goes against the Thompson offseason bible and bring in a guy that might take some strain off the offense. The Packers are just 3-5 in their last eight home playoff games and the only way way that number changes is if the defense gets noticeably better. But the linebacker is the star of the 3-4 defense, and it’s about time to bring in another star on that side of the ball. Signing free agents usually is too much of a risk and too much money and I understand why Thompson doesn’t even bother. But when you’ve got one of the best players in the game at the game’s most important position, Thompson has no choice but to surround him with every conceivable way to win. Because if you don’t, Rodgers’ talents could very well be wasted. This entry was posted in Uncategorized and tagged 2014 offseason, Brian Orakpo. Bookmark the permalink. Good blog post and while I’d love to see this happen…I’d be shocked if it did. Problem is, in my opinion, that the Packers don’t think they have problems at LB. What I am coming to realize is that the Packers have not only drafted poorly in the front 7 on D, but they also poorly evaluate their own players at all positions. Overpaying Burnett & Jones (LB) and offering a big contract to Raji, along with not having sufficient backup QB or safeties. You gotta wonder how much the losses of Dorsey and McKenzie are impacting that front office. Now I’m seeing Highsmith is a candidate for the Dolphins GM job, too. Absolutely perfect! Pair up one oft-injured pass rush specialist with the one we already have. Combined, they might play an entire 16 game season while chewing up a third of the salary cap. Genius! The OLB position needs more depth than anything. There are plenty of other positions that need an upgrade at the starter position on this defense including S and ILB. I would much rather sign a guy like Ward or even Byrd if GB is gong to go all out in FA (yeah right). TJ Ward is a better option in signing a free agent -thats where our biggest weakness is. Byrd will be over priced, as will be Orakpo. You could draft a decent inside linebacker, rather than pay FA money for one. Simply put, its not happening. A team has to allocate its resources better than this. Clay Matthews isnt going anywhere. They arent giving up on Nick Perry yet, their first round pick two years ago. If this website wants a better speculative writer, please contact me. This article and idea is absurd. If you are going to make a statement like this and attack the author, you should probably know how to spell it’s properly, with the apostrophe. I think this would be a good idea. Clay Matthews typically misses several games a season and is hampered by his hamstring for 6 games a season. When he is good, he’s great, but he probably isn’t a full time player. Cycle him with Perry and have Orakpo fill the void left by Matthews 10 injury plagued games a season. How would you fit him in when he would command a salary equal to Clay Mathews? We’re giving away a free gold pan and rock hammer for the next speculative writer. You have to provide your own trommel though. I’ve already said this but it’s worth repeating. GB is trading away their 1st, 2nd, and 3rd round draft picks with Houston to get their #1 overall pick so they can draft Jadeveon Clowney and have Dom Capers switch him to the much needed Free Safety position. I disagree. He is yes trading the top picks but for a ton of 5,6,7th rounders and undrafteds to develop for the future. Our counterparts understand the future is the next pre season but Ted doesn’t. The Packers are more likely to trade down with their 1st round pick that trade up. The Packers have lots of holes to fill and Thompson has never put a premium on drafting the safety position high in the draft. Look at his draft record. Simply put, if you disagree with a story written on here, that’s fine. Disagreement and discussion is what makes sites like ours go. However, there is a much more respectful way to do so without personally attacking Cory. He does a lot of good work for us, and your personal attack is unnecessary. Oh please Ted. Stop the insanity and just fess up to the fans. You have no money and no intention of trying to acquire free agents. Would you explain to them the team does not have deep pocket owners and you are responsible for making sure you balance out and wiill not back load contracts to pay the big money later on. Stop this now. Arakpo? Ya like you could afford him. I think the Packers will put the franchise tag on Raji and try to sign Shields to a long term contract. 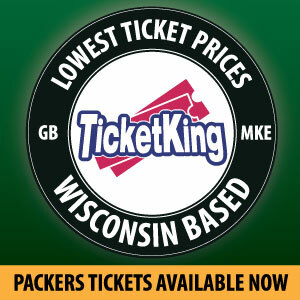 The Packers offered Raji to much already and they are not going to let him get away. Shields would be a safer bet to sign to a long term high $ contract. If the Packers were to fail retaining Raji or Shields then Orakpo would be a good free agent to go after. The Packers defense is so bad they need good football players period. Help me out here.When guys like Bulaga-Sherrod-Neil-Finley-Brad Jones-on&on&on,go down for extended time,do the Packers pay their full salary? Does some kind of insurance policy kick in? Are there clauses in contracts to help out? Workmens Comp? Or do all pro teams just bite the bullet & pay in full? Ouch. Just wondering. Still need to replace Nick Collins Cullen Jenkins and nick Barnett…I think there’s some guys in FA that could do that at an OK price. TT needs to see it that way.